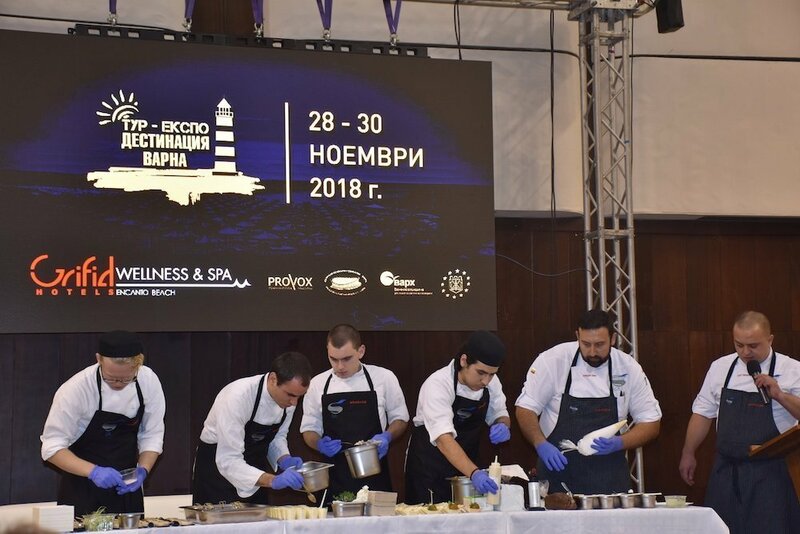 Some of the most innovative hospitality and tourism products were presented at the second annual issue of TourExpo Destination Varna that took place from November 28 to November 30, at The Palace of Culture and Sports in Varna. 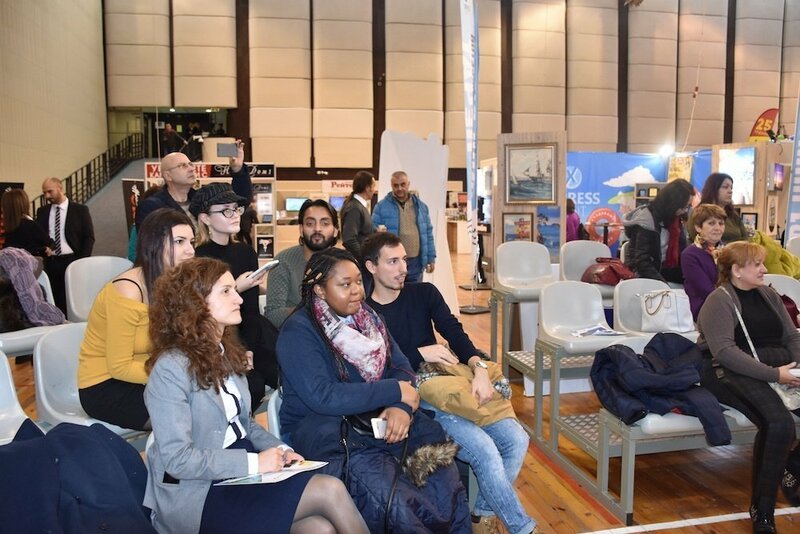 Interactive TV systems, intelligent guest room solutions, attractive and modern furnishing and equipment innovations were just a part of the hospitality and tourism industry offers at the Expo. 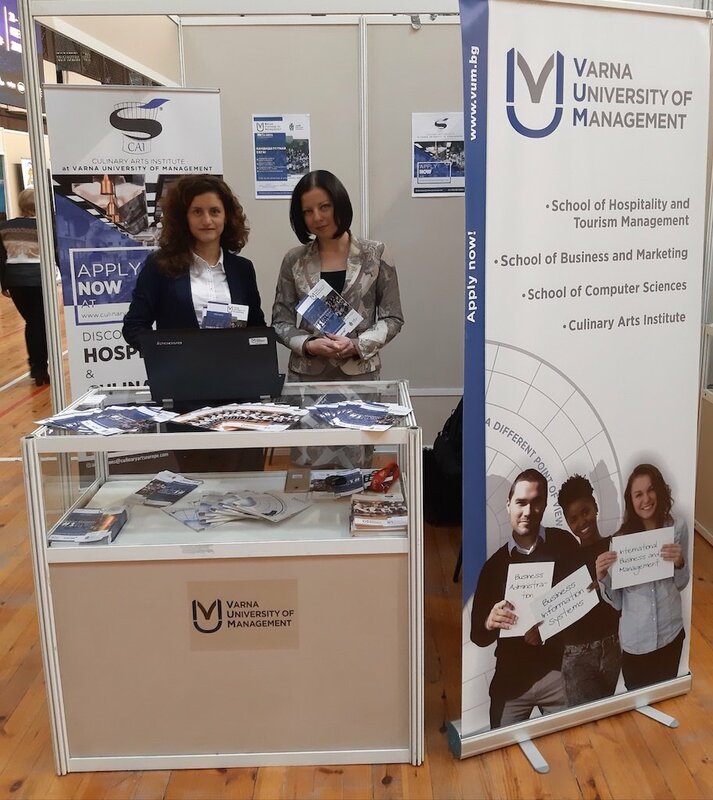 Varna University of Management was presented at the event by students, faculty and staff with a variety of initiatives: on the first day of the event our Chef-instructors Kaloyan Kolev and Vasil Yakimov together with students of VUM’s Culinary Arts Institute did a highly applauded culinary demonstration on the theme of cocktail food. 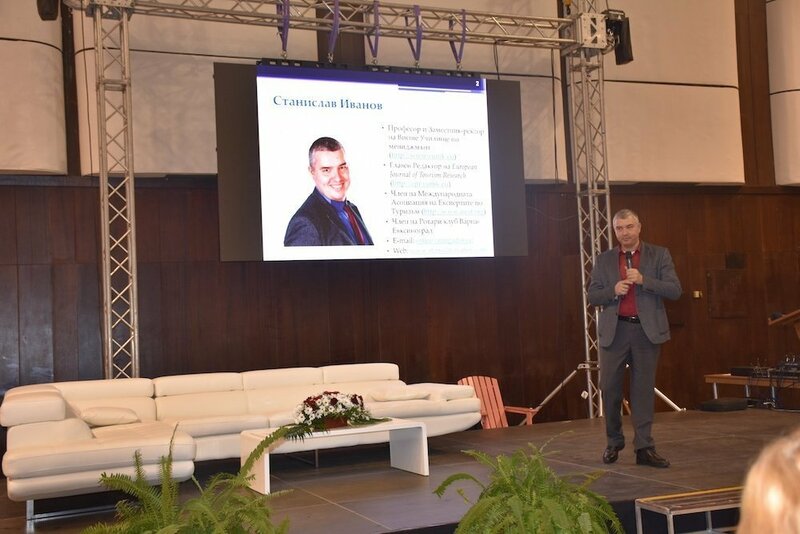 In the schedule of the presentations our Vice Rector Research, Prof. Stanislav Ivanov gave valuable advices to the industry on Revenue management of the additional services in hospitality and our Food and Beverage and Career Development lecturer Irina Petkova organized a workshop on the topic of management of the “Impossible Hotel” coming to present the dynamic work environment of the hospitality industry. You can see some photos and videos from the TourExpo Destination Varna 2018 on our Facebook page.